The world's leading producer of raw cashew nuts since 2015 with 715,000 tonnes and today with a mid-season production of 736,000 tonnes, while 78,000 tonnes are still to be harvested, but with a processing rate of less than 10%, Côte d'Ivoire through its government has decided to change its opinion. And to launch a bold policy of processing through accelerated industrialisation to meet the challenge of a processing rate of 50% by 2020. The Competitive Cashew initiative (ComCashew) and the Sustainable Nut Initiative (SNI) have publicly announced the intensification of their cooperation by signing a Memorandum of Understanding at the SIETTA - ACA Annual Cashew Conference & Expo 2018 in Abidjan. SNI is the private sector platform for a sustainable nut sector and ComCashew is GIZ’s multi-stakeholder partnership programme for the promotion of the cashew sector. Within their cooperation SNI and ComCashew are planning to scale up impact to make the cashew sector more sustainable and add value to the African economy. With the signing of the cooperation agreement the two partners aim at aligning and scaling up their sustainability impact in the African cashew sector. SNI’s members are committed to improve the transparency in the nut chain, strengthening the relationship with farmer cooperatives and working towards volume and quality improvement. ComCashew is already working with several SNI members to improve the livelihood of farmers and workers in the sector and is involved in the local policy dialogue to make the policy environment more favourable for a flourishing African cashew sector. ComCashew will encourage companies that apply for funding to become an SNI member and implement the tools and way of working of SNI. All nut companies are very much welcome in SNI. Cashew Processing Equipment Manufacturers, Processors, Investors and Business People are invited to be part of the International Cashew Processing Equipment and Technology Show - SIETTA 2018 in Côte d’Ivoire on 8, 9 and 10 November, 2018 at the Abidjan Palais de la Culture -Treichville in Côte d’Ivoire on the theme: “Cashew Processing, a Mine of Opportunities for Empowering African Youth”. The 3rd edition of SIETTA is taking place alongside the annual African Cashew Alliance Conference making it the biggest Cashew Rendevous on the continet. Be part of the workshops and conferences facilitated by national and international Experts on the main thematic areas of the cashew value chain. Enjoy beautiful sites, artistic and cultural treasures of Côte d’Ivoire and do business! Contact us and register now! In consolidation of their sector organization efforts, the African Cashew Alliance (ACA) and GIZ/ComCashew project want to consolidate the achievements, upgrade and reinforce the capacity of local actors, and transfer knowledge to partners and target groups. In this context, GIZ/ComCashew, with support from ACA, introduced the “Master Training Program” (MTP). 4 editions have been held already in which 246 experts have been trained between 2014 and 2017. Currently the 5th and 6th editions are ongoing with two of the 3 training sessions already done. In order to complete the last training sessions of the current running editions and to prepare and deliver editions 7, 8 and 9, the African Cashew Alliance (ACA) is therefore seeking the services of qualified experts to serve in role of Lead Facilitators for the remaining sessions and editions of the MTP. Facilitate the regional exchange of knowledge, learning and innovation. Should have an experience in adult education, organizational development (Gestalt) and facilitation of large groups. Must have expertise on the above-mentioned topics and understand the cashew value chain. Must have a profound knowledge on process facilitation and have experience in managing a very diverse cultural group. Have experience on training design, concept and implementation; have experience in leading a group of facilitators. Knowledge of the Cashew sector, proficiency in English and Basic French is considered an added advantage. Find out more on how to apply in the concept note. The application form to be filled out, you find here. on the theme: “Cashew Processing, a Mine of Opportunities for Empowering African Youth”. The Master Training Programme aims to increase theoretical knowledge and practical skills of African cashew experts along the value chain and consequently to further promote the competitiveness of Africa cashew sector. During knowledge sharing sessions of theories and their application, participants learn about all aspects of the cashew value chain ranging from production and processing of raw cashew nuts, to economics, cashew market dynamics, marketing and financing mechanisms etc. Participants will return to their host institutions and have a multiplier effect on the cashew industry by sharing their knowledge and experiences gained from attending this tailor-made training. The next application period for the Master Training Programme starts on 28th of September and ends 31st of December 2018. Admitted applicants will begin their learning journey from March 2019. If you are interested in participating in the Master Training Programme, please download and completely fill out the following form. One cashew nut out of two comes from Africa, making the continent the world's largest producer of cashew nuts today. The crop is largely produced by 1.5 million small-scale farmers. Agriculture plays a particular role in Africa. Two-thirds of Africa's population is employed in agriculture, making it the continent's largest employer. Most African countries today, face the challenge of making the agricultural sector sustainable and fit for the future. It is important in offering perspectives to rural populations and above all to young people, who make up more than 60% of the African population. 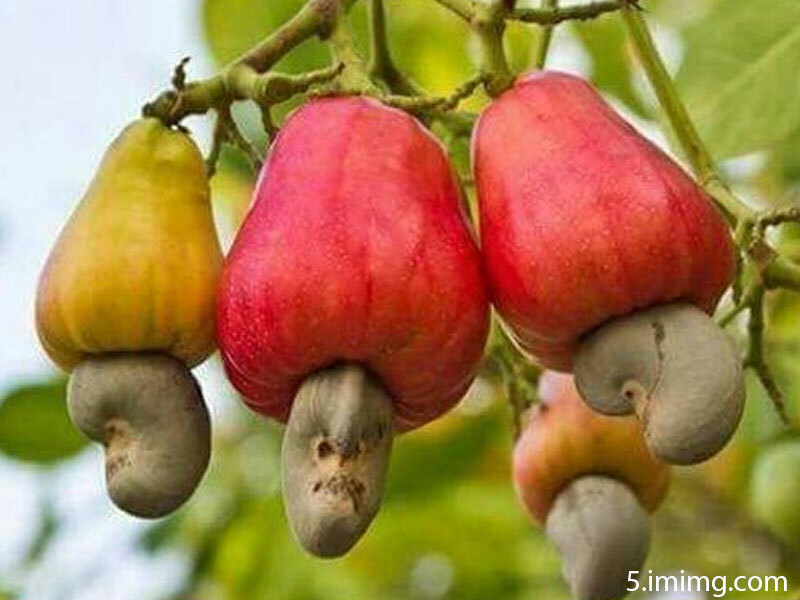 The production and processing of cashew nuts in Africa create such perspectives. Nicknamed the "grey gold", cashew is increasingly becoming prominent and is seen in many countries as a "miracle weapon" because of its diverse potential. Given that, progressive climate change is forcing many farmers, especially in the Sahel region, to break new ground, the cashew tree is ideal for adapting to climate change. The Council for Technical and Vocational Education and Training (COTVET) has pledged to collaborate with the German International Cooperation (GIZ)-Competitive Cashew Initiative (ComCashew) to boost the cashew sector. Dr. Fred Asamoah, the Executive Director of COTVET, gave the assurance in Sunyani, saying COTVET would partner the two entities “in providing the foundation for developing quality-oriented, industry-focused and competency-based training programmes for the cashew industry”. This, he said, was because the cashew sector in the last decade has proven that, if given the needed attention, it could offer sustainable solutions to the growing unemployment situation in Africa. Dr Asamoah was addressing participants of the second session of the Sixth Edition of the Master Training Programme (MTP) on cashew value chain promotion, jointly organised by ComCashew and African Cashew Alliance (ACA) with support from the Ministry of Food and Agriculture (MoFA) and Cocoa Research Institute of Ghana (CRIG). Speaking on behalf of the Executive Director of ComCashew at the opening of the second session of the Sixth Edition of the Master training Programme (MTP) on cashew value chain promotion, Mrs. Ofori-Karikari said development of improved planting materials and good agricultural practices (GAP) were key aspects of ensuring sustainable production. The five day programme, organised by ComCashew in partnership with African Cashew Alliance (ACA)with support from the Ministry of Food and Agriculture (MoFA) and Cocoa Research Institute of Ghana (CRIG) provided a platform for 86 Cashew experts from Benin, Burkina Faso, Cameroon, Cote d’Voire, Ghana, Mozambique, Nigeria and Sierra Leone. It sought to increase theoretical knowledge and practical skills of African Cashew experts along the value chain and consequently to further promote the competiveness of African cashew in addition to sharing knowledge, discuss best practices and lessons learnt and to build national and regional networks for future collaboration. L'ensemble des partenaires techniques et financiers (PTF)considère la promotion de la filière cajou comme une opportunité d'apporter une contribution durable au développement des pays producteurs africains, a estimé vendredi à Cotonou, le représentant des PTF de la filière cajou, Florian Winckler. Au cours d'une interview accordée à Xinhua, en marge de la deuxième réunion des ministres du conseil international consultatif du cajou (CICC), le représentant a fait remarquer qu'"avec plus de 50 différents partenaires techniques et financiers impliqués rien que dans les cinq principaux pays producteurs de cajou en Afrique de l'Ouest, la filière cajou occupe une place importante dans le secteur du développement". Un nombre croissant de PTF s'engage dans la filière et contribue avec les acteurs privés et publics qui déterminent la chaîne de valeur, à rendre celle-ci plus compétitive et durable. The Competitive Cashew initiative (ComCashew) in partnership with the African Cashew Alliance(ACA), and support from the Ministry of Food and Agriculture (MOFA) and the Cocoa Research Institute Ghana (CRIG), will commence the 2nd session of the 6th edition of the Master Training Program for Cashew Value Chain Promotion in Africa from Monday, August 27 to Friday August 31, 2018 at the Eusbett Hotel, Sunyani. This unique Master Training Program seeks to increase theoretical knowledge and practical skills of African cashew experts along the value chain and consequently to further promote the competitiveness of African cashew. The program will provide a platform for 86 cashew experts from Benin, Burkina Faso, Cameroon, Côte d’Ivoire, Ghana, Mozambique, Nigeria and Sierra Leone to share knowledge, discuss best practices and lessons learnt as well as to build national and regional networks for future collaboration. Participants will return to their host institutions and have a multiplier effect on the cashew industry by sharing their knowledge and experiences gained from attending this tailor-made training. During knowledge sharing sessions of theories and their application, participants learn about all aspects of the cashew value chain ranging from production and processing of raw cashew nuts, to economics, cashew market dynamics, marketing and financing mechanisms. Facilitators and technical experts teach, evaluate and re-design each training session according to participants’ needs. The first session which was held in Peduase, covered the cashew value chain concept, the dynamics of the cashew market and the development of training materials. This second session will focus on the development of improved planting material and Good Agricultural Practices. The highlight of this session will be a visit to the Wenchi Research station. All sessions cover cross-cutting issues such as gender, policy development, sector regulations and nutrition value of cashew products. Ernest Mintah, Managing Director, African cashew Alliance. Seven months. Three sessions. Three locations. Rolled out in seven months, the Master Training Program is divided into three successive sessions to be held in Ghana, Côte d'Ivoire and Benin. This year, there are two separate editions: Edition 5 and 6. In so called “inter-sessions”, participants will return to their host institutions to conduct field work, either individually or in groups, to deepen knowledge on a selected topic. After completion of the program, the participants become certified and acknowledged cashew experts, who train farmers, provide assistance to processors, or advice institutions in their respective countries. The Competitive Cashew initiative (ComCashew) constitutes a new type of multi?stakeholder partnership in development cooperation. The initiative is mainly funded by the German Federal Ministry for Economic Cooperation and Development (BMZ) and the Swiss State Secretariat for Economic Affairs (SECO). Private companies and government and donor agencies also support the Initiative. The Deutsche Gesellschaft für Internationale Zusammenarbeit (GIZ) GmbH has been commissioned with the management of the regional project with Fairmatch Support as an implementing partner who provides consultation on technical issues and facilitate linkages between farmers and processors. ComCashew benefits from the diverse commercial and technical expertise of their private and public sector partners. Important cooperation partners in Ghana are the Ministry of Food and Agriculture (MOFA) and the Cocoa Research Institute of Ghana (CRIG). The Competitive Cashew initiative (ComCashew) in partnership with the African Cashew Alliance(ACA), and support from the Ministry of Food and Agriculture (MOFA) and the Cocoa Research Institute Ghana (CRIG), will commence the 2nd session of the 5th edition of the Master Training Program for Cashew Value Chain Promotion in Africa from Monday, July 23 to Friday July 27, 2018 at the Eusbett Hotel, Sunyani. The program will provide a platform for 72 cashew experts coming from 11 countries: Benin, Burkina Faso, Cameroon, Côte d’Ivoire, Ghana, Togo, Mali, Mozambique, Nigeria, Sierra Leone and Zambia to share knowledge, discuss best practices and lessons learnt as well as to build national and regional networks for future collaboration. Domina Damian, Master Trainer & Senior Processing Officer at the Cashew Nut Board of Tanzania. The 10th VINACAS Golden Cashew Rendezvous, which takes place from October 5 to 7, 2018 in Halong bay, Vietnam, would see panels discussing the market trends of both Raw Cashew Nut and kernel. Among other things an award ceremony will be held during the Gala Dinner of the Golden Cashew Rendezvous on Saturday, October 6, 2018 at Vinpearl Halong Resort, Vietnam. Each year, VINACAS presents the VINACAS GOLDEN CASHEW Awards to excellent cashew companies which have contributed to the growth of the cashew industry in Vietnam and worldwide. The first VINACAS GOLDEN CASHEW Awards, presented during the Vietnam Golden Cashew Festival in 2010, has tremendously encouraged all cashew stakeholders and supported them in branding and promotional campaigns. As approved and announced by the Awarding Council of VINACAS, Mr. Wim Schipper, Director Tree Nuts and Ingredients for Intersnack Procurement B.V. will be a recipient of the award. Intersnack Procurement B.V. is a subsidiary of Intersnack Group from the Netherlands and a board member of the Competitive Cashew initiative (GIZ/ComCashew). GIZ/ComCashew congratulates Mr. Schipper for this exceptional recognition. The forum is supported by the GIZ Competitive Cashew Initiative (ComCashew), SNV Netherlands Development Organization and Cadre Intégré Renforcé (CIR). Under the theme: “The Cashew Sector, what reforms are favorable for a better organized, dynamic and competitive market?”, this two day event will bring together diverse stakeholders from the public and private sectors of the cashew industry as well as development partners in the sub-region. Presentations, exhibitions, panel discussions, and personalized ‘business-to-business’ meetings with technical and development partners, government and regulatory authorities and financial institutions, will significantly enhance technical and strategic knowledge on the dynamism of the cashew sector especially in the sub region. The African Cashew Alliance is honored to partner with CIA-B for organizing this event that will continue discussions and actions towards the creation of a more sustainable and competitive African cashew industry! Stakeholders interested in Exhibition are kindly ask to place a request at the below address. Limited spots available! ACA and its partners continue to support and work towards a competitive cashew industry in Africa! The Competitive Cashew initiative (ComCashew) in partnership with the African Cashew Alliance(ACA), and support from the Ministry of Food and Agriculture (MOFA) and the Cocoa Research Institute Ghana (CRIG), will commence the 1st session of the 5th edition of the Master Training Program for Cashew Value Chain Promotion in Africa from Monday, April 23 to Friday April 27 2018 at the Hephzibah Christian Retreat Centre, Peduase. The unique Master Training Program seeks to increase theoretical knowledge and practical skills of African cashew experts along the value chain and consequently to further promote the competitiveness of African cashew. The program will provide a platform for 77 cashew experts coming from 9 countries: Benin, Burkina Faso, Côte d’Ivoire, Ghana, Mozambique, Nigeria, Sierra Leone, Tanzania and Togo to share knowledge, discuss best practices and lessons learnt as well as to build national and regional networks for future collaboration. The first session to be held in Peduase, will cover the cashew value chain concept, the dynamics of the cashew market and the development of training materials. The highlight will be a field visit to the largest cashew processing factory in the sub region - USIBRAS, in Prampram. All sessions cover cross-cutting issues such as gender, policy development, sector regulations and nutrition value of cashew products. A former Master Trainer, Judith Odei who works as Director of Operations at the MIM Agro Processing factory in Ghana states: “As the Quality Assurance Manager of MIM, I train factory staff on personal hygiene and security threats awareness. The Master Training programme taught me steps on how to better facilitate these trainings. With regards to process documentation, I have gained more knowledge thanks to the experiences shared by various well-verse experts from different countries. This will go a long way to improve the quality of work in the factory. In my community, I will raise awareness about the nutritional value and benefits of cashew nuts and apples. Rolled out in seven months, the Master Training Program is divided into three successive sessions to be held in Ghana, Côte d'Ivoire and Benin. This year, there will be two separate editions: Edition 5 and 6. In so called “inter-sessions”, participants will return to their host institutions to conduct field work, either individually or in groups, to deepen knowledge on a selected topic. After completion of the program, the participants become certified and acknowledged cashew experts, who train farmers, provide assistance to processors, or advice institutions in their respective countries. The Competitive Cashew initiative (ComCashew) constitutes a new type of multi‐stakeholder partnership in development cooperation. The initiative is mainly funded by the German Federal Ministry for Economic Cooperation and Development (BMZ) and the Swiss State Secretariat for Economic Affairs (SECO). Private companies and government and donor agencies also support the Initiative. The Deutsche Gesellschaft für Internationale Zusammenarbeit (GIZ) GmbH has been commissioned with the management of the project with Fairmatch Support as an implementing partner who provides consultation on technical issues and facilitate linkages between farmers and processors. G3: projects that integrate the gender dimension in the company. A4SD’s submission on “Gender in Agricultural Value Chain Promotion Empowering Female Farmers in Selected African Value Chains” highlights the impact of A4SD activities on female farmers. So far, more than 1.8 million farmers have been trained in GAP and in FBS – 400,000 of them were women. On average, men and women increased their income by up to 150% by implementing lessons learnt in GAP and FBS training. It is worth noting that the jury was impressed with this submission. The A4SD gender factsheet indicates the contributions of the Competitive Cashew initiative (ComCashew), the Sustainable Smallholder Agribusiness (SSAB), the Competitive African Rice Initiative (CARI) and the Competitive African Cotton Initiative (COMPACI) towards gender mainstreaming and in empowering female farmers. Ms. Viviane Alima M’boutiki represented ComCashew at the awards ceremony, and received the award in the presence of, Tanja Goner, the CEO of GIZ, and Caren Grown, Group Senior Director of the World Bank. The Competitive Cashew initiative and its partners are pleased to inform stakeholders in the African Cashew sector of the call for applications for the 5th edition of the Cashew Master Training program (MTP) in Cashew value chain promotion. The current call is open until 31st January 2018. For more information, please see the attached documents. L'initiative du Cajou compétitif et ses partenaires ont le plaisir d'informer les acteurs dans le secteur du cajou africain de l'appel à candidatures pour la 5ème édition du Programme de Maîtres Formateurs dans la promotion de la chaîne de valeur anacarde. L'appel actuel est ouvert jusqu'au 31 janvier 2018. En savoir plus, veuillez consulter les documents joints.